We know that YouTube don’t allow users to download videos directly. But don’t worry there are many other ways to download youtube videos free to your computer. The most common way is to use Video Downloader and Download Manager software. There are software’s available which you can download and install to your computer. And then download videos and other files from Internet. Some popular Download Managers are Flesh Get, Download Accelerator Plus, Internet Download Manager and Free Download Manager. IDM (Internet Download Manager) is one of the best Download Manager software’s. IDM can download all type of files (Video, Audio, Doc, PDF, PPT etc.) from Internet to your computer. Whenever you will try to download a file IDM will appear and help you to download file. Its file downloading speed is good. You can download IDM here. But there are still other simple ways too to download a video from YouTube for free and easily. In this post, I have shared the best way to download youtube videos with an online tool. This tool makes video downloading process really simple. And you don’t have need to download and install this tool to your computer. How can I download videos from YouTube? There is a website and online tool savefrom.net that allows you to download YouTube videos free and quick. This is a free online video downloader tool. Don’t need to install SaveFrom but if you want you can install SaveFrom to your computer. SaveFrom is also available for add on as extension to your Internet browsers too. It also allows you to download videos from other websites then youtube. You can download your Facebook, Daily Motion, Vimeo, Meta Café videos and from many websites. To download a video from YouTube, first get the URL of the video. And open SaveFrom.net, put video’s URL to input field on the top. Check the image below. This how it will look like when you will put the URL there. Now to download video click on the green “Download” button or click on the “HD mp3” to download only mp3 audio file of your video. To download your video in different format other than mp4 (3gp, flv etc.) click the “Drop Down” button after the download button. In drop down this will give you the option to download the same video in different format. 1). To download Youtube video put youtube video url after the url of savefrom.net. 3). 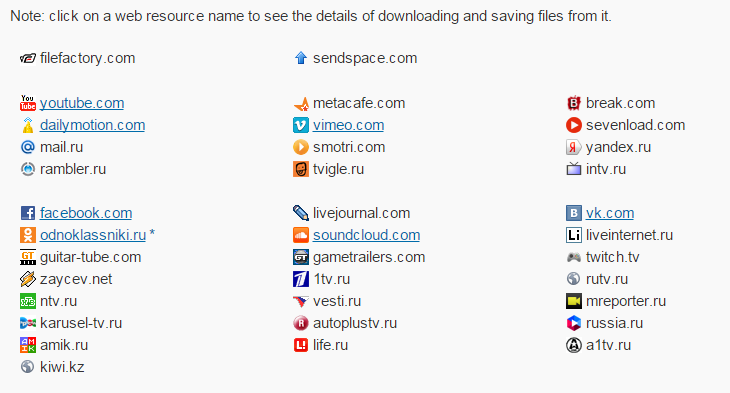 Or you can add on browser extension of SaveFrom to download videos by only one click.